Charles James (1906–1978)—one of the most celebrated and sought-after couturiers of his day, and subject of a major exhibition in summer 2014 at The Metropolitan Museum of Art—won ecstatic praise for his highly innovative designs. Without formal training, he created some of the most ambitious and dramatic couture of the 20th century and became the designer of choice for powerful clients, including Marlene Dietrich, Gypsy Rose Lee, and socialites Millicent Rogers and Austine Hearst (wife of William Randolph Hearst Jr.). James was particularly famous for his nearly fanatical perfectionism and unpredictable temperament; his contracts with the ready-to-wear industry often ended in legal wrangling and contributed to both his fi nancial ruin and a reputation as a troubled genius. 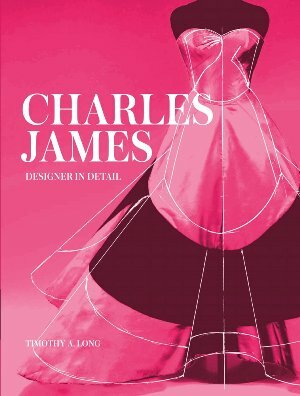 In this book, the first in a new series, James’s reputation is reexamined and his most stunning designs are analyzed in exacting detail, uncovering his geometric rigor and passion for materials. Featuring illustrations, new garment photography, and archival material, this is the perfect introduction to James’s stunning work.